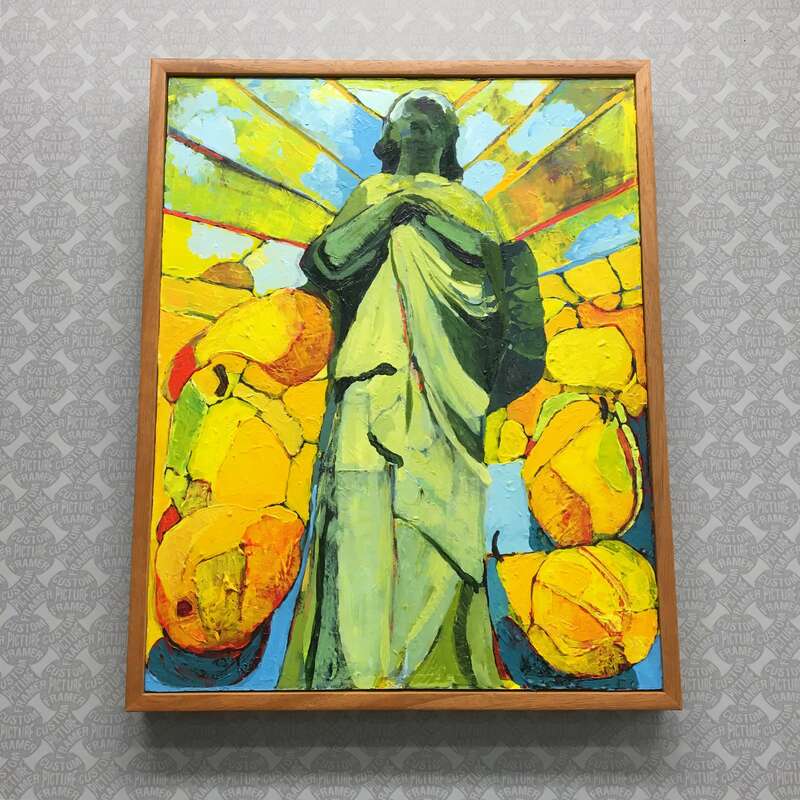 Keswick Village – Glenside, PA. 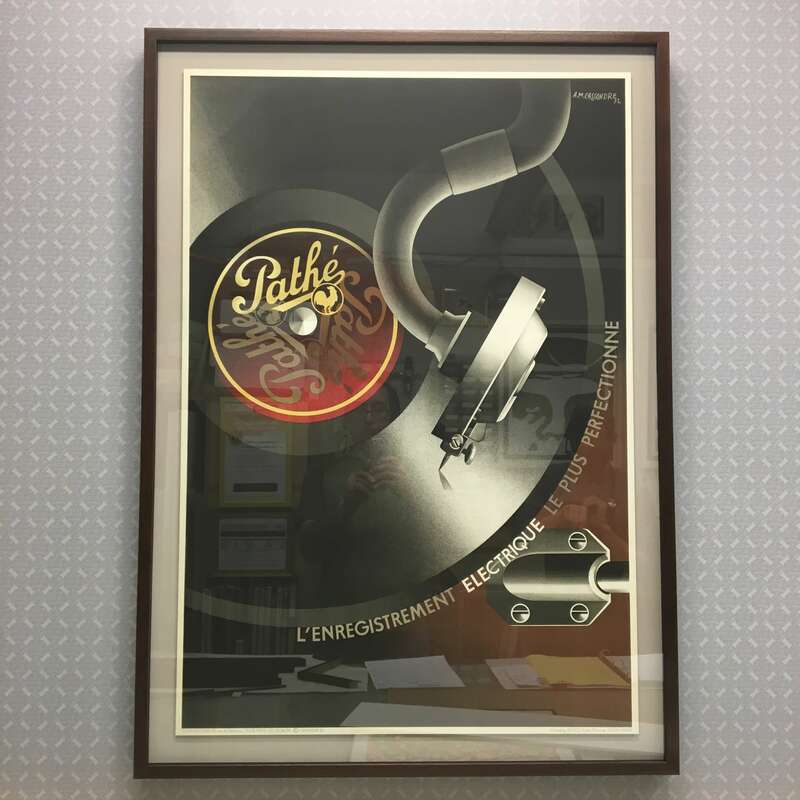 Custom Picture Framer of Glenside is a frameshop and art gallery located just minutes North of Philadelphia in the Keswick Village neighborhood of Glenside, PA. With over 25 years of framing experience, owner Jeremy Sustare’s in-depth industry knowledge gives him and his team the ability to exceed your expectations on any framing project. Take a quick “virtual tour” on our website to see what we do, then get in touch for a no obligation consultation and written quote. 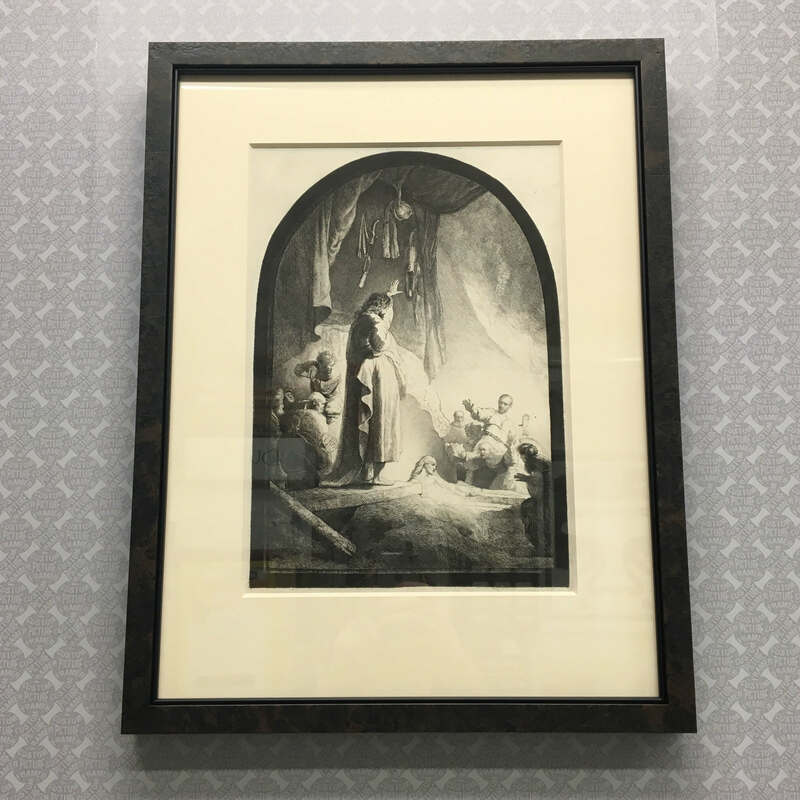 “The Resurrection of Lazarus” is a 19th century etching by Amand-Durand (after Rembrandt) - with 8 ply mat and custom framed in a Roma dark burl moulding with fillet enhancer. 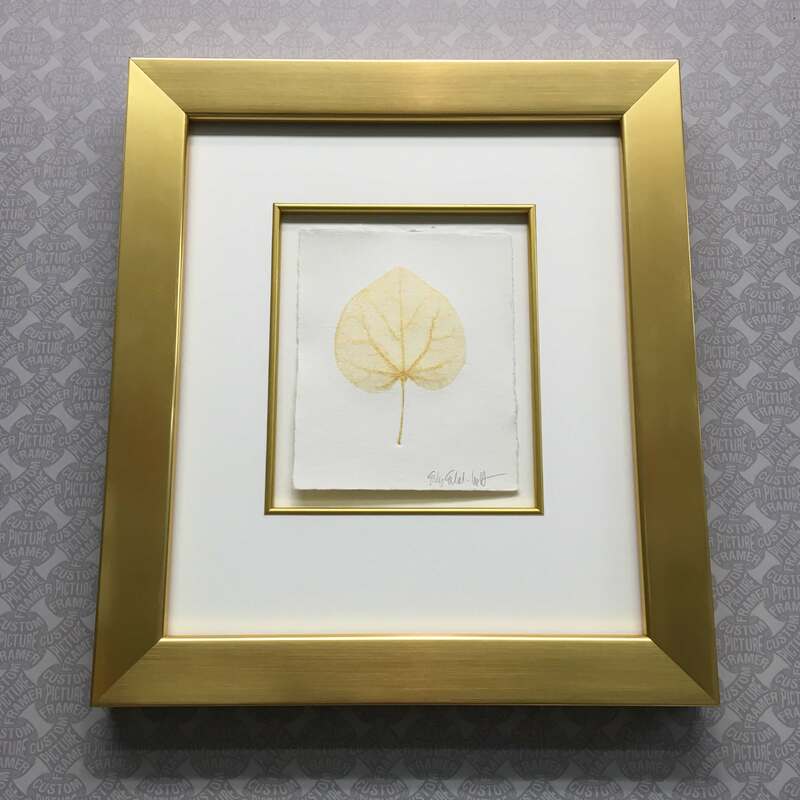 “Redbud” monoprint by Emily Ennulat Lustine - float mounted in a bright gold moulding with matching fillet. 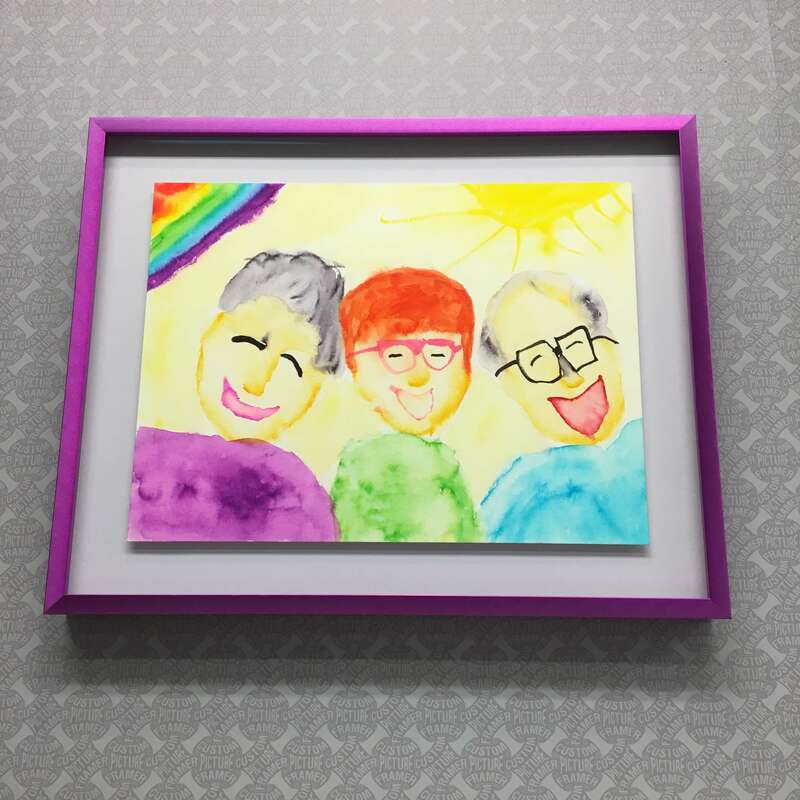 Claire (age 7) deftly captures “Trish and Friends” in this brilliant original watercolor - float mounted and custom framed in a Nielsen ‘Vivid’ profile. 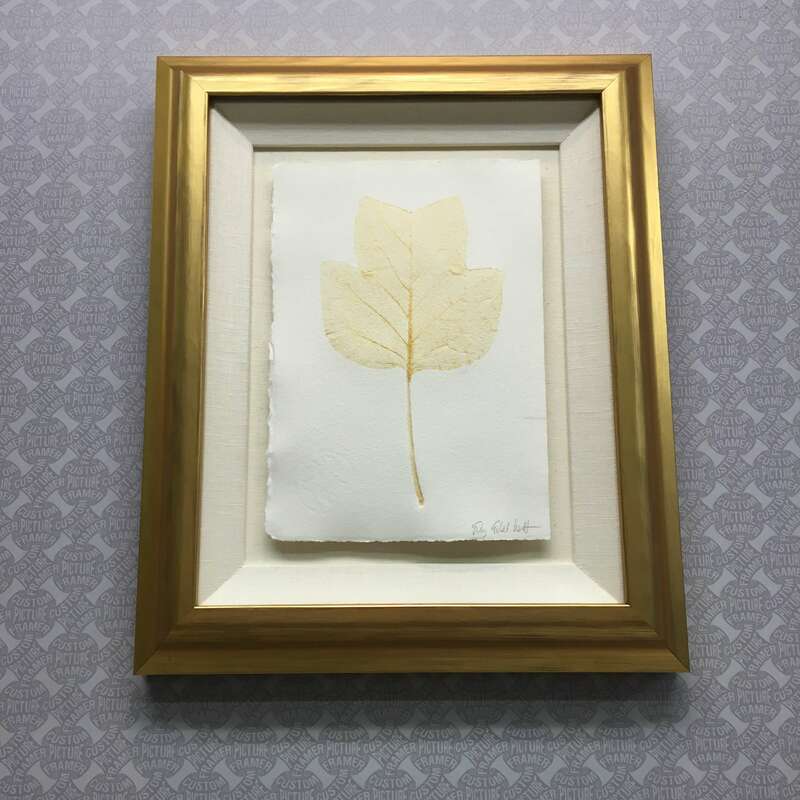 “Tulip Poplar” monoprint by Emily Ennulat Lustine - raised float mounted on a linen mat with linen liner, gold frame, and Museum glass. 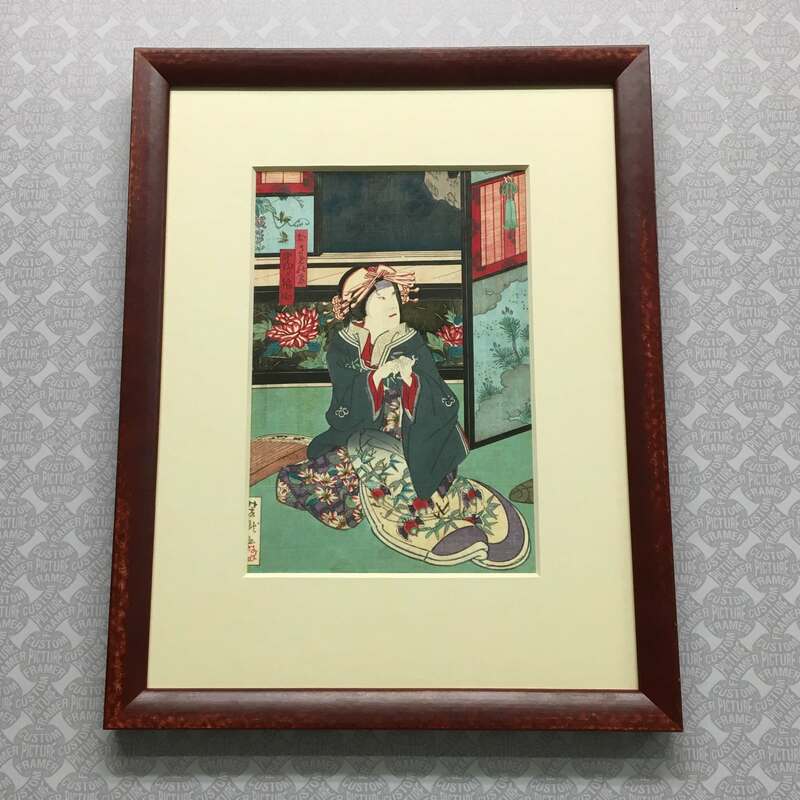 Original 19th century woodblock print by Yoshitaki Utagawa - presented with an 8-ply mat, Museum Glass, and a distressed Roma frame. 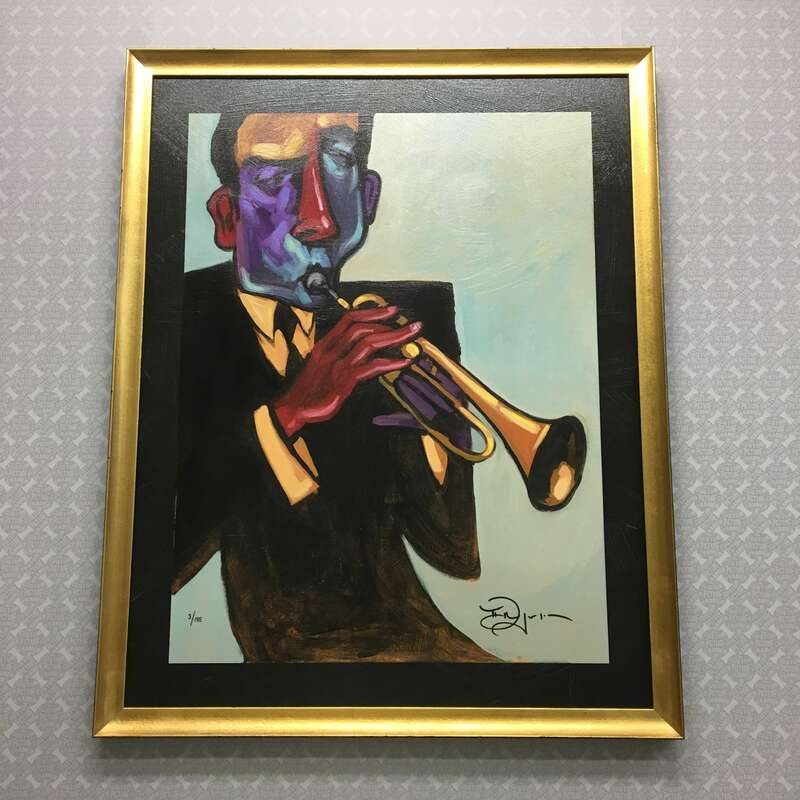 “Blowin' in the Wind” limited edition giclee print by ‘the darling of the art world’ Tim Rogerson - custom framed in a rustic gold profile by Roma Moulding. 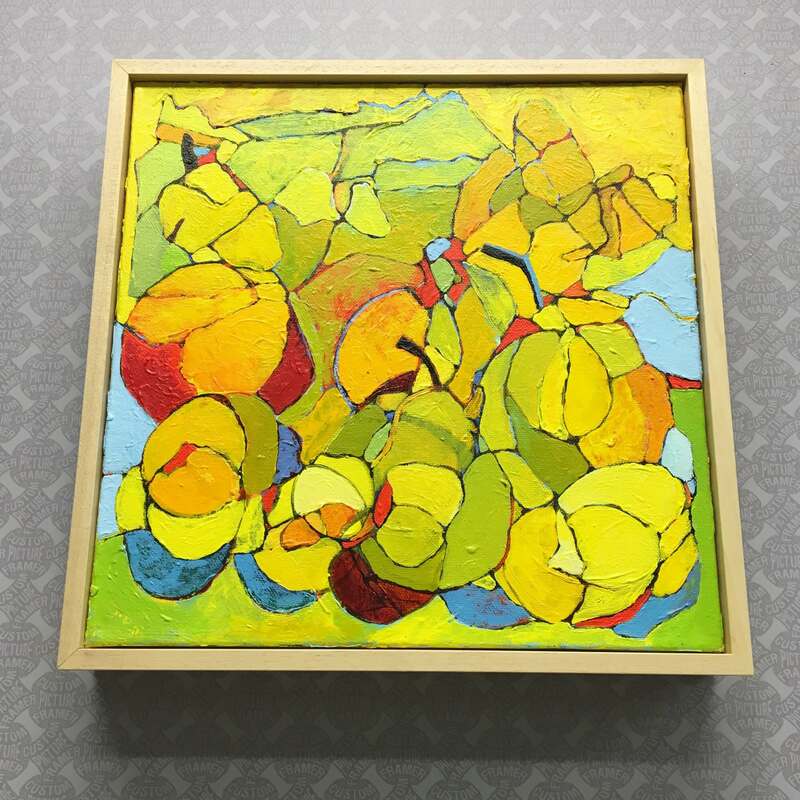 “Fruit Stilllife” original acrylic on canvas by Ann Beatus - presented in a natural wood float frame. 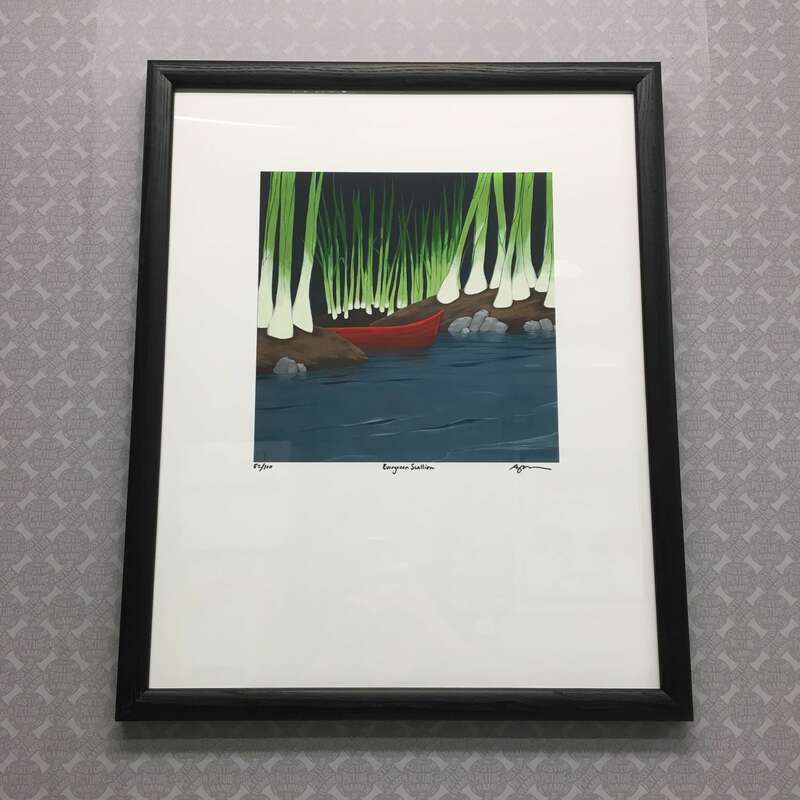 “She Stays in the Picture” acrylic on canvas by Ann Beatus - presented in a solid cherry float frame. 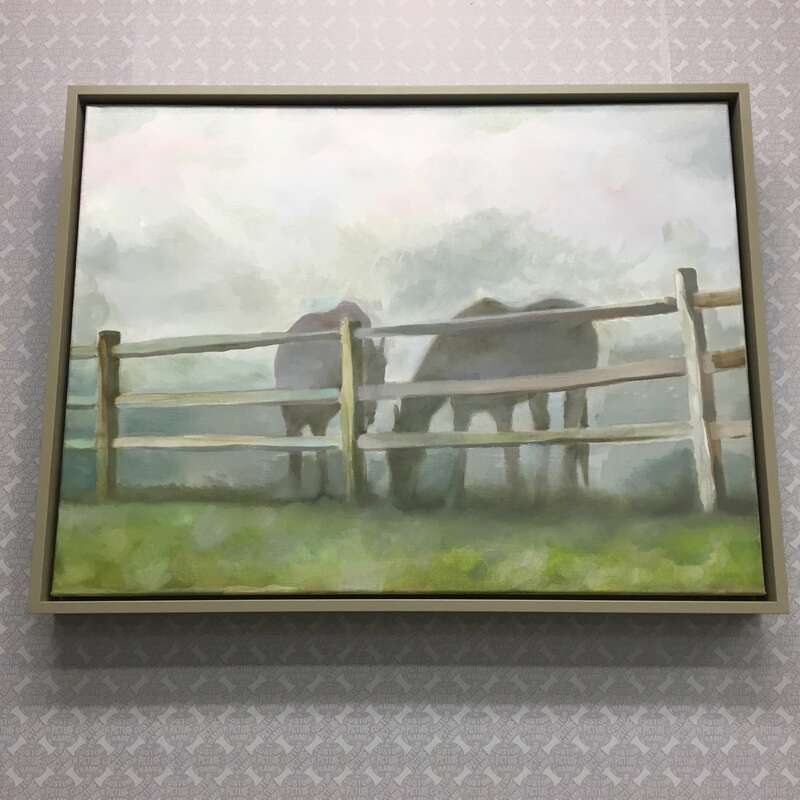 Original “Horses” canvas by one of our talented young artists - presented in a custom grey float frame. 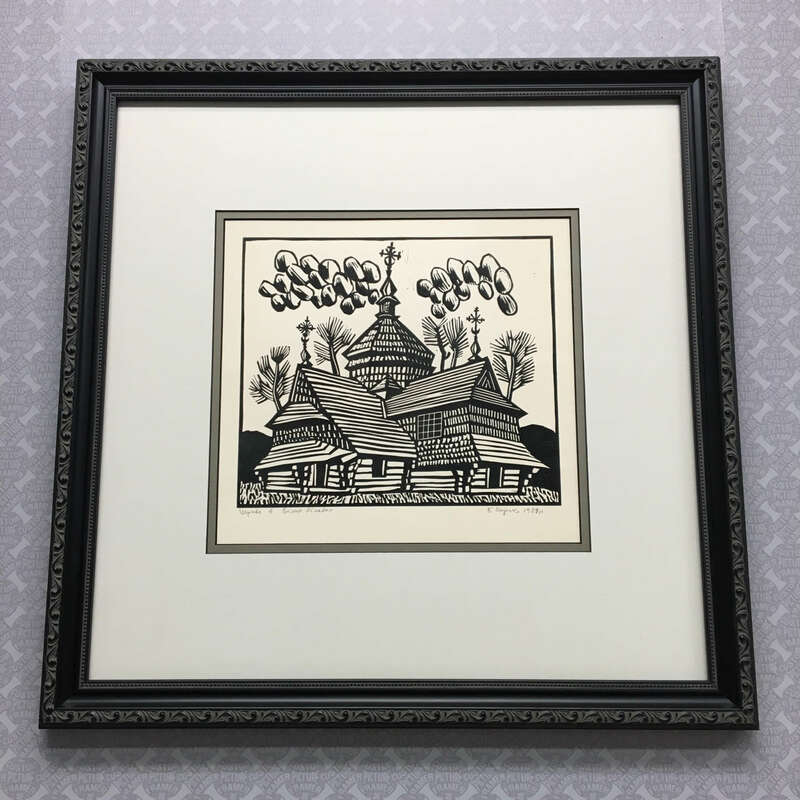 “Ukrainian Church” woodcut - custom framed in a classic black wood moulding. 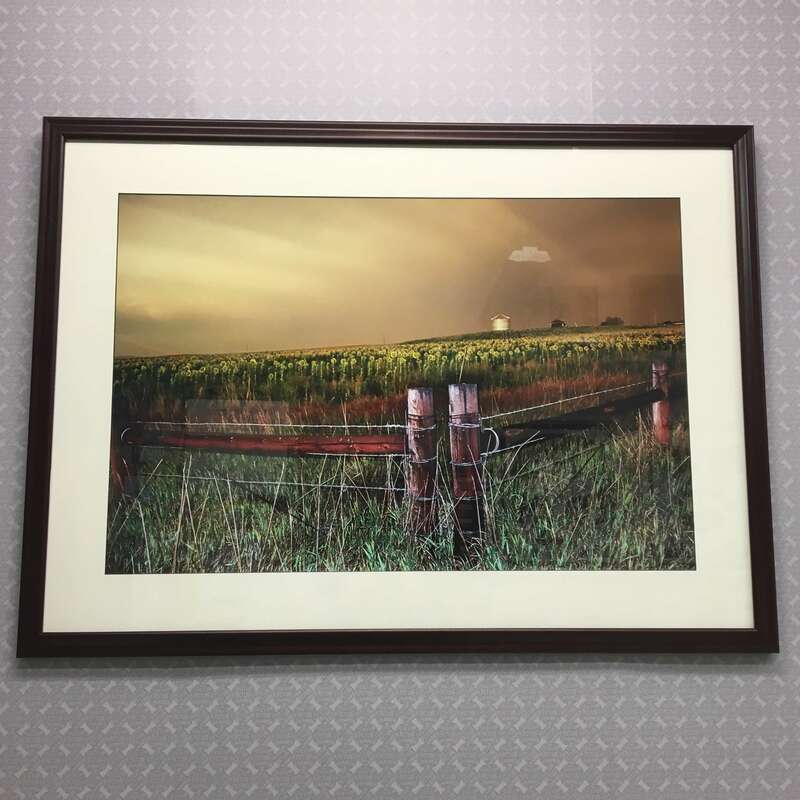 Custom Picture Framer of Glenside is located just outside of Philadelphia. Discover the charm of Keswick Village where you can explore nearly 100 unique businesses including specialty stores and restaurants. Ample street parking makes your visit a breeze…so what are you waiting for? 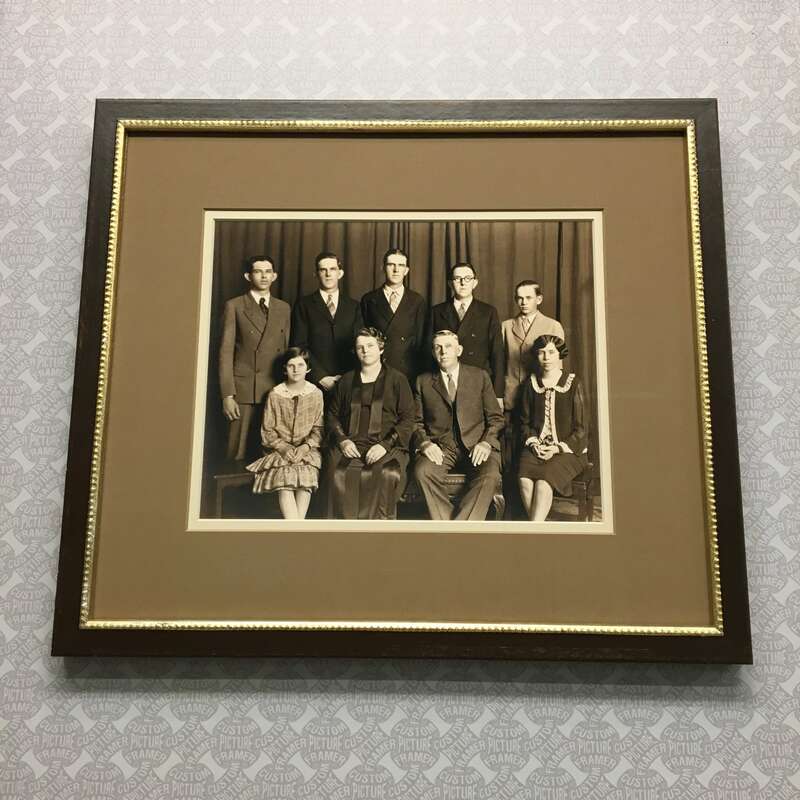 Restored c.1940 photo - double matted and custom framed in a distressed Roma profile. 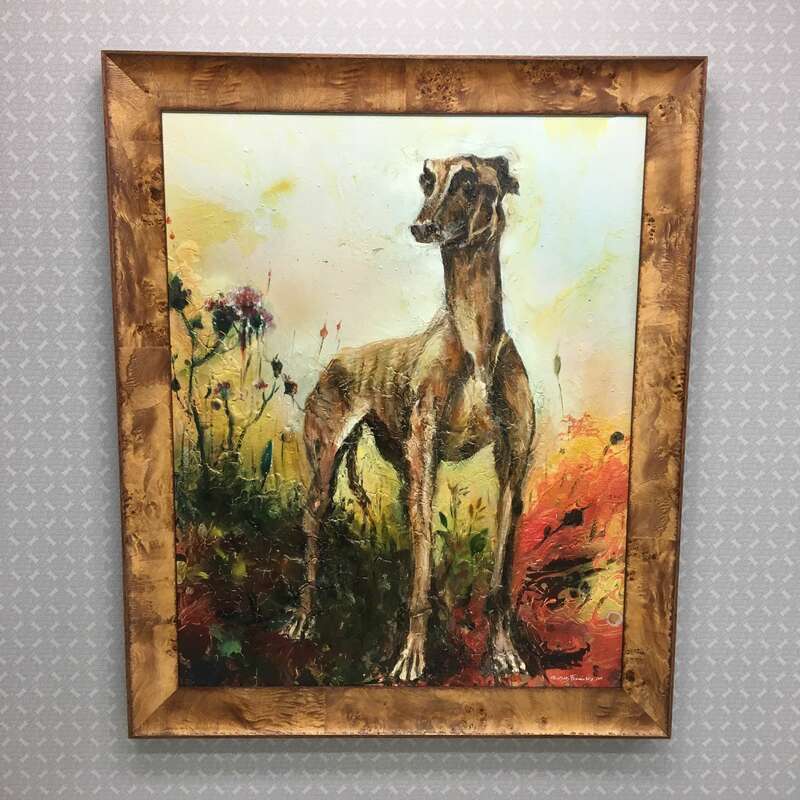 “Old Dog” is an impasto original of a ‘galgo’ (Spanish hunting dog) - custom framed in natural burl.